Cheerleading is often considered a kind of side show to the big event of football. 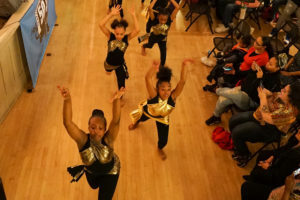 But to the local girls and young women who participate, it’s a sport in its own right, and a way to express themselves. 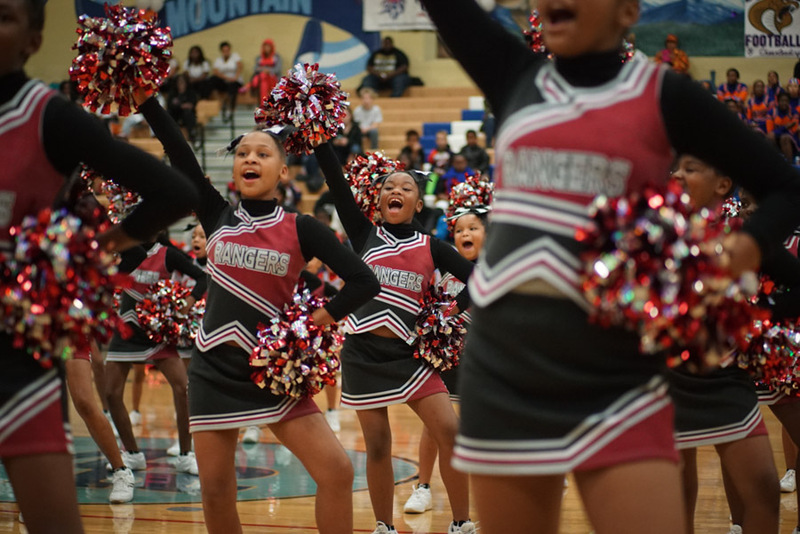 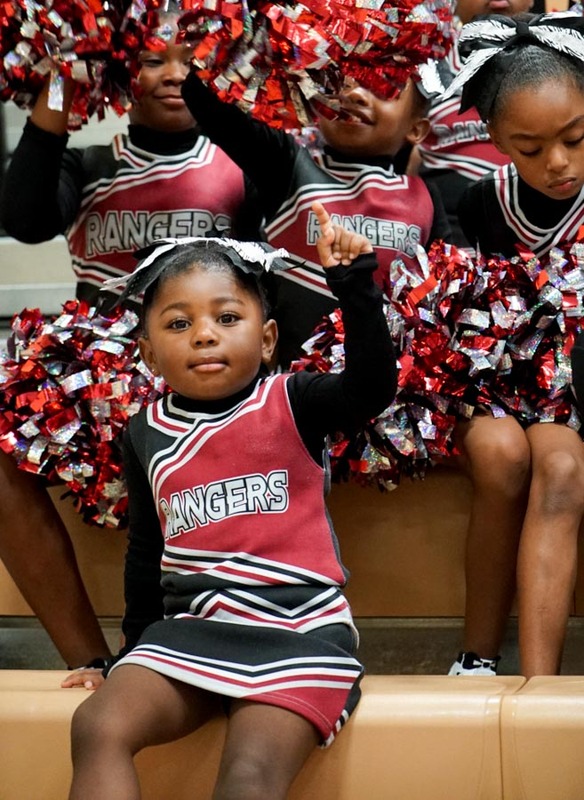 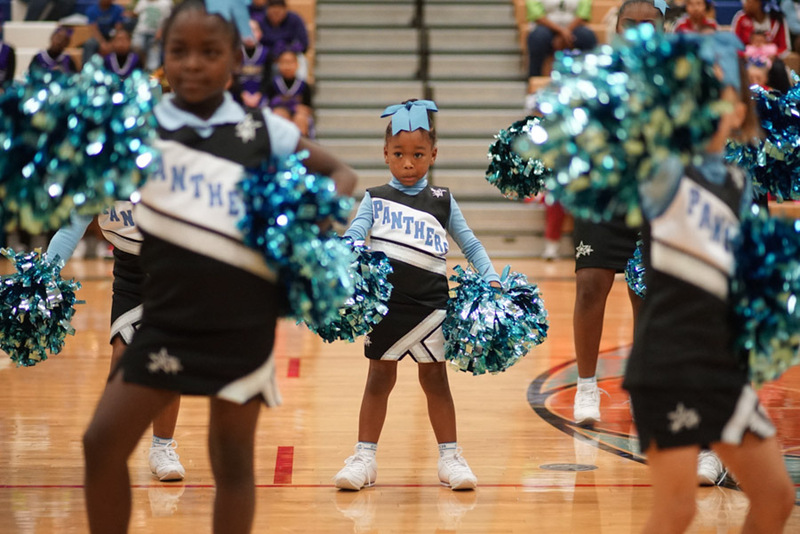 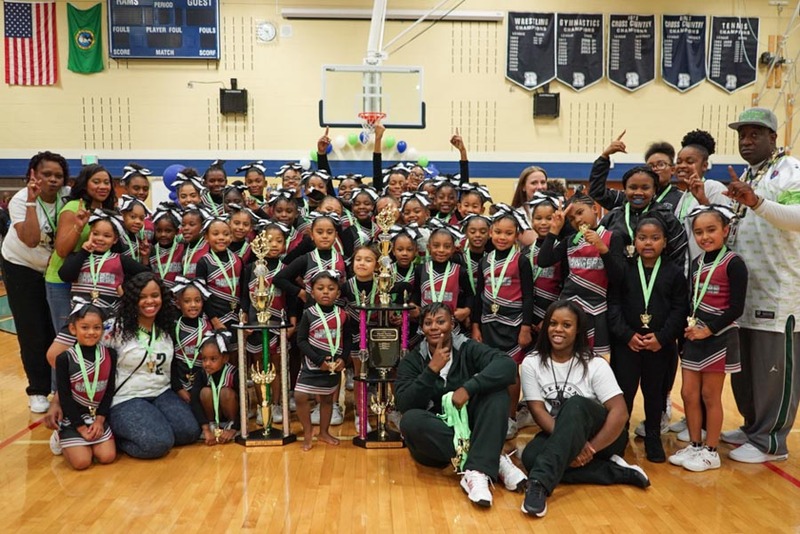 On Saturday, over a hundred cheerleaders, ages four to 14, joined a competition of the Greater Seattle Football and Cheerleading association (GSYFC) down at Mount Rainier High School in Des Moines. 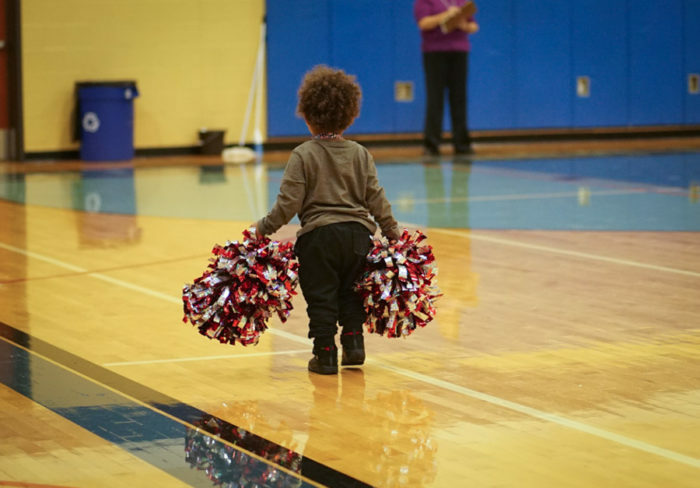 “Without cheer there is no football.” Kyle Wilson, the commissioner of GSYFC said during the competition. 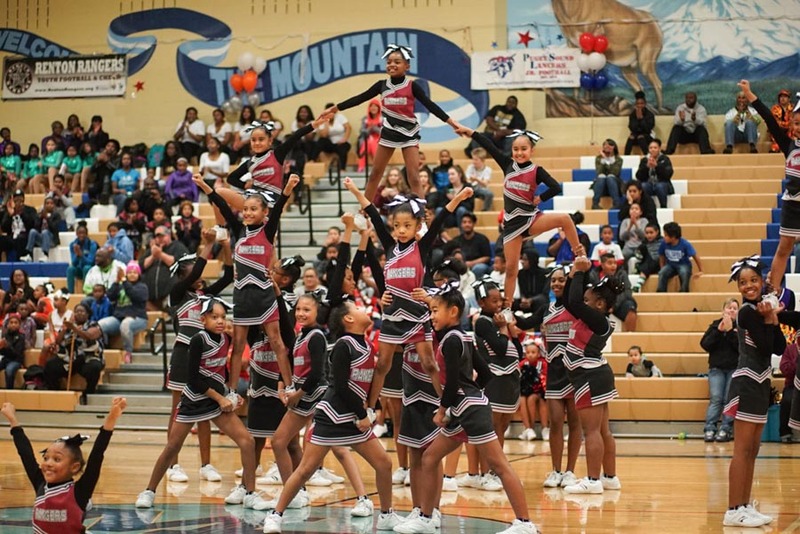 Aniyah 8 (center) and her teammates on the Kent Cobras perform an X jump. 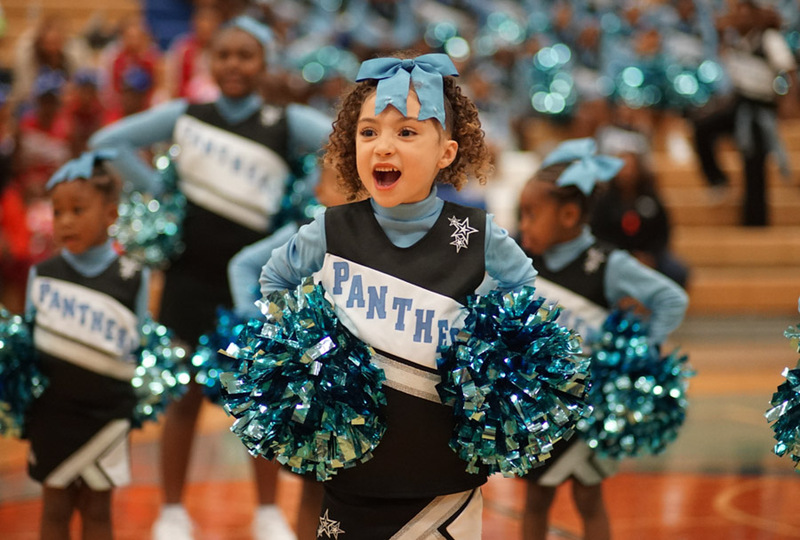 In a display of team spirit and athleticism four teams competed in front of a raucous audience of football players, family and friends. 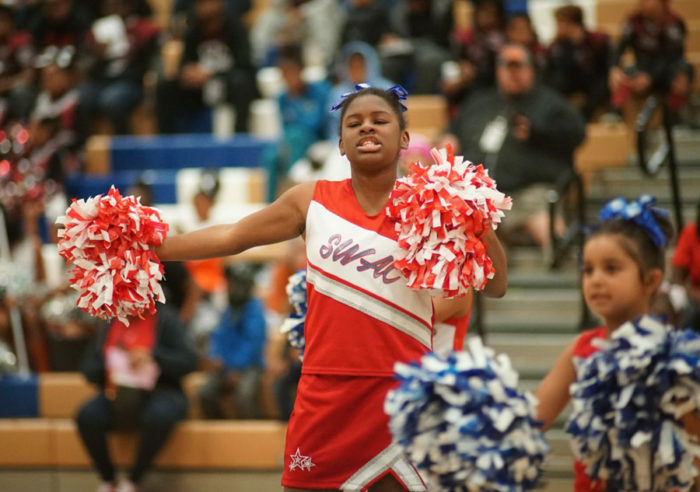 Seven other teams, including five mini teams of younger girls, also performed but didn’t compete. 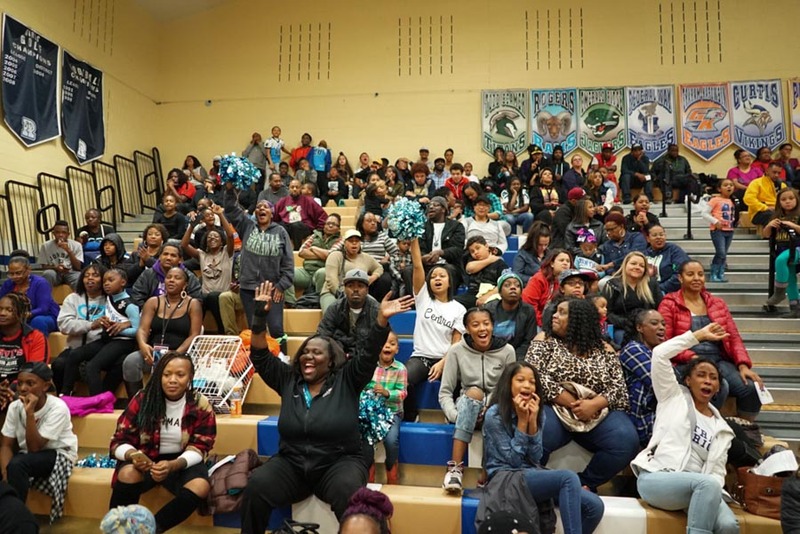 But the crowd did! 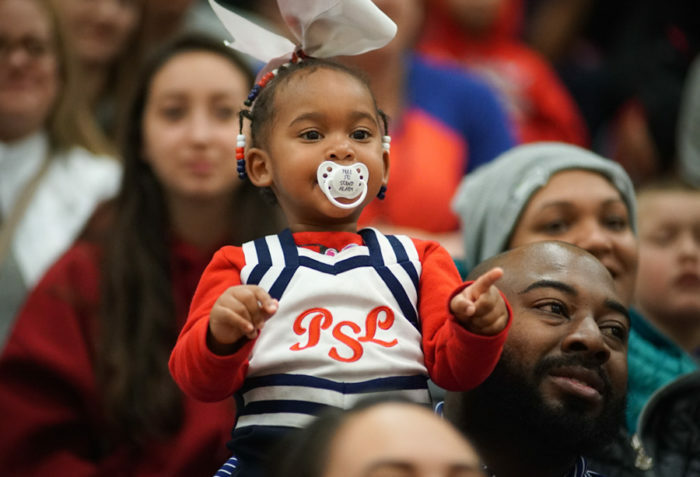 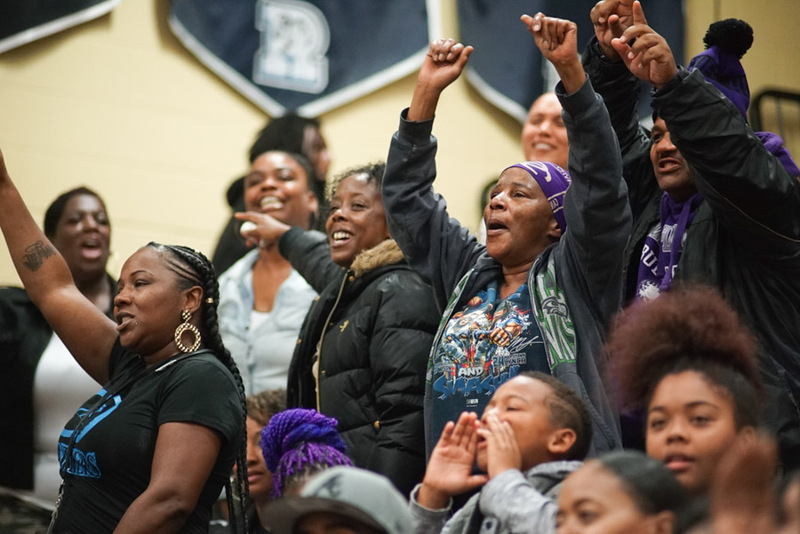 Fans vied to see who could show the most spirit by yelling their team’s name from the bleachers. The cheerleading squads from big to small performed stunts and jumps, including tuck jumps, x jumps, and the elevator, a skill that requires three girls to lift a fourth girl into a standing position. 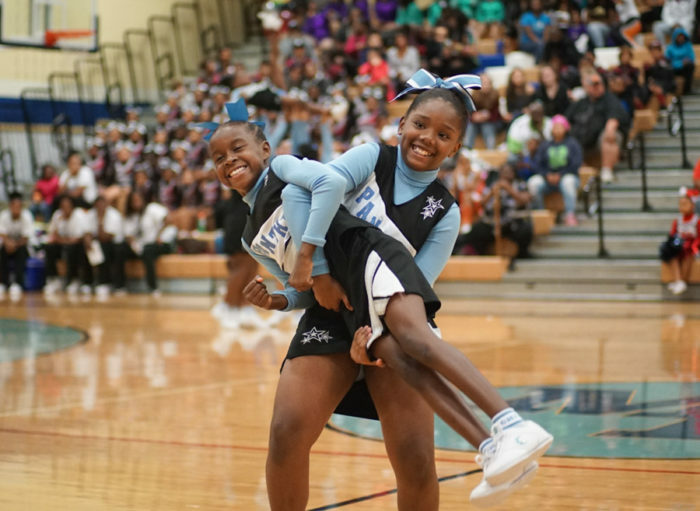 “I wish all kids participated in something like this, because we are teaching our girls how to work with others as a team. 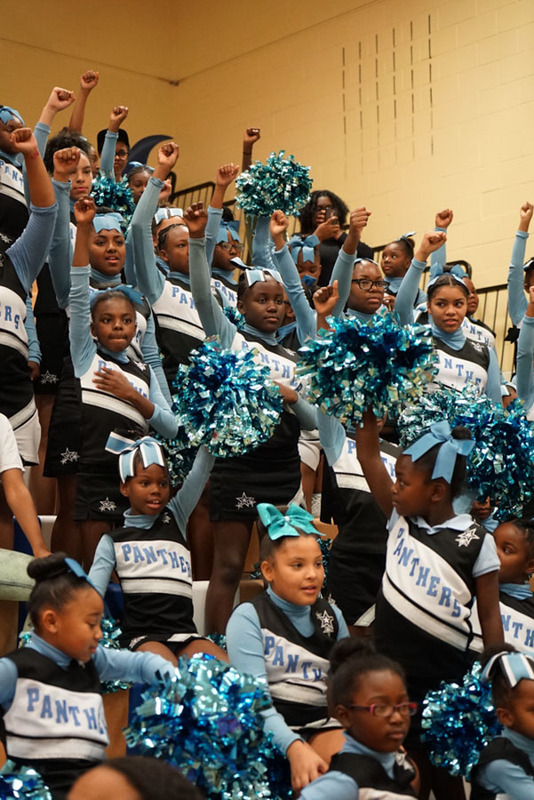 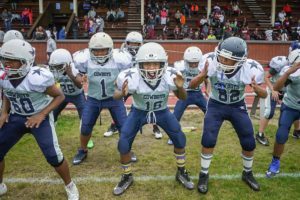 Also they learn discipline, how to respect your peers and your leaders and how to be positive even in a negative situation,” said PAC Charger Coach Brittney Walker. Tags: cheer, Greater Seattle Youth Football & Cheer, Renton, Susan Fried. 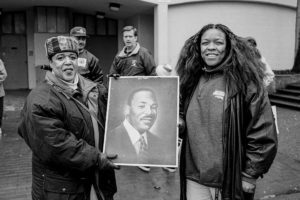 Susan Fried has been a photographer for over 35 years. 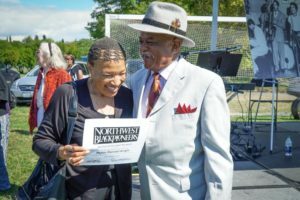 She has spent the last 20 years working as a photojournalist for the Skanner Newspaper covering Seattle’s Black Community.